San Francisco’s Four Barrel is about to raise its prices on coffee for the first time since it opened in 2008. If it hasn’t already, your local coffee shop is probably about to raise the cost of your morning latte. Global coffee prices have doubled over the past year, recently reaching a 14-year high and leading national companies like Starbucks to increase prices in recent weeks. Peet’s and some smaller Bay Area specialty coffee roasters raised prices in the fall, while others are just now announcing increases. And it doesn’t look as if it will stop there. “There’s less and less coffee to buy and more and more people who want to buy it,” said Robert Fulmer, president of Royal Coffee in Emeryville, which has imported green coffee beans for specialty roasters since 1978. “It’s going to take a number of years until production can catch up with consumption, especially because there’s been a shift in the world overall from mediocre coffee to really good coffee,” he said. Global warming is blamed for erratic weather patterns that have damaged crops from Kenya to Colombia, pushing up coffee prices elsewhere. And, as the standard of living increases in China and India, so does the desire for a beverage enjoyed by middle-class societies around the world. 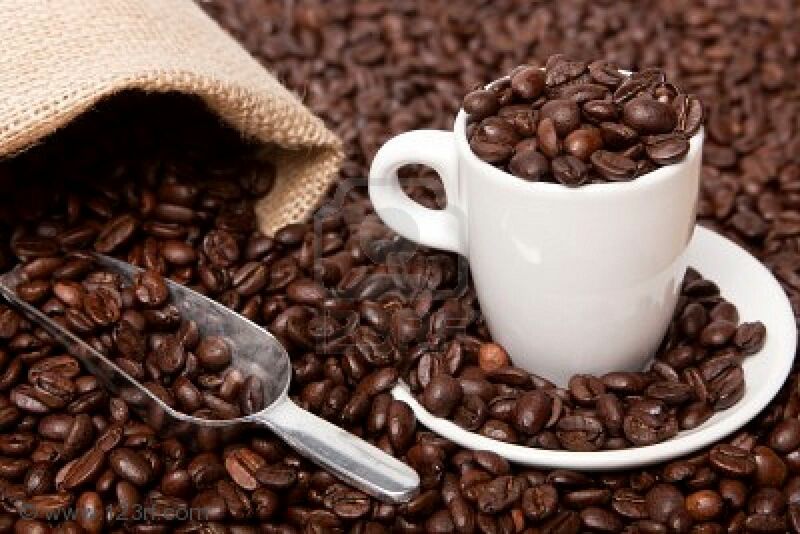 Coffee prices generally fluctuate with the C market, a global commodity futures market that establishes benchmark prices for green arabica beans, the highest-grade coffee. Last spring, the C market price was around $1.30 per pound; now, it’s around $2.60. Specialty roasters pay more than the C-market price based on quality differentials as well as for fair trade and organic certifications, which usually add another $1.50 to $2 per pound. Yet, some specialty roasters who work directly with farmers think there’s an upside to the higher prices, because coffee farmers will earn more for their crop, which in turn will foster higher quality and keep more farmers in business. “We really hope in the long run this will bring the market more in line with a sustainable food system. Consumers know that to have a really premium cup of coffee, they have to pay more,” said Helen Russell, CEO of Equator Coffees & Teas in San Rafael, a roaster for restaurants like the French Laundry in Yountville. Equator is opening its first cafe in Terminal 2 at San Francisco International Airport later this month. Equator sent letters to its wholesale customers with pricing calculators to help them estimate new costs, including Reverie Cafe in Cole Valley, which posted a sign on the door so regulars wouldn’t be thrown off by the 10- to 30-cent increase for coffee drinks. Blue Bottle Coffee of Oakland raised prices last fall and again a few weeks ago. Ritual Coffee Roasters of San Francisco hasn’t upped its prices because it buys close to 90 percent of its coffee directly from farms and has set prices that are already well over the C market, said owner Eileen Hassi, whose buyer traveled to Central America twice during the recent harvest to meet with farmers. “If you go to the country of origin and establish a relationship with the coffee producer, you’re able to steer their production techniques and harvesting practices to ensure good or great quality,” Hassi said. Like other roasters and importers, Hassi is concerned about how many coffee farmers are leaving the business because of labor scarcity and higher prices for raw materials and land. Four Barrel in San Francisco now buys more than 95 percent of its coffee through direct trade, similar to Ritual, but owner Jeremy Tooker said that when the C market goes up he still has to increase what he pays farmers to reflect what they can get elsewhere. Starting Monday, Four Barrel is raising its prices for the first time since opening in 2008, by about 25 cents for espresso drinks and $1 per pound for beans. Customer Anna Ticktin, sipping a macchiato at Four Barrel’s cafe in the Mission, said she’s unfazed by the news that many local roasters are raising their prices. On the other hand, Flynn De Marco, manager of Glam-a-Rama salon across the street from Four Barrel, said he won’t be able to tolerate an increase on his favorite drink, a $4 mocha. This entry was posted in Coffee and Health. Bookmark the permalink.